At Leapstart we offer a variety of classes to all age groups of kids. Enrichment Classes run from September-May during after school times. These classes are free and will be included as part of your monthly fee. Enrollment for these classes is based on space availability. Please talk to the staff to indicate your preference for enrollment. Leapstart teachers will cover some exciting dance moves, make it fun for kids to learn and build stamina, while having fun with friends! We offer kids a quiet and calming place for them to unwind while learning basic breathing patterns, asanas and yoga stretches. Our qualified instructors offer basic-to-advanced Spanish language skills that kids can develop easily during one hour session. Our Hindi program teaches basic-to-advanced speaking, writing and reading skills over a course of the year. All students from K-9th grade are offered assistance with their daily homework from our trained and qualified staff. Kids get to explore and immerse themselves in a world of creativity. We offer art, drawing and interesting craft project that keeps them excited. These are paid classes that are taught by specialists. Prior enrollment is needed for these classes and have limited space. We offer the convenience of never having to drive your kids over to different facilities. Specialized instructors come to Leapstart to offer a wide range of activities to keep every child engaged and for them to get the most out of the hours they spend at Leapstart After School. 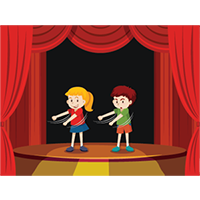 Give your kids a chance to get over their shyness: enact a play before the audience and lose their fear of public speaking. Over and above all that, what greater joy can they have than dressing up in costumes and pretending to be the character that they have always dreamt of being! With props, music, costumes, and stage decorations, kids get to explore their acting skills. Let’s bring out the actors and actresses within them paving the way for a STEAM major and making them realize that “A” for Arts is equally important for innovation. 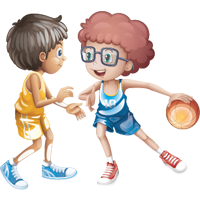 This class will be taught by a Basketball Coach with instructions that will cover beginner-to-intermediate level skills. 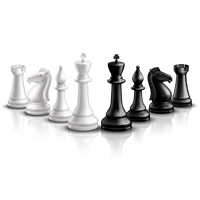 Success Chess instructors come to Leapstart to offer classes under the same roof. Their program is tiered which means every child has a chance to excel and compete within different levels. Gymnastics Camp focus in teaching techniques, proper progressions, reinforcing current skills, and building on what each gymnast is working at home or previous classes. The activities are performed on mats, apparatus, and more in a safety environment. Fee includes a Ribbon award at the end of the camp. Students should wear appropriate sport clothing, bring snacks, and a water bottle. Instructors from Start Kids Academy bring all the equipment to Leapstart for age-appropriate classes. Adults and kids can enroll in our fitness classes that offer a fun and exciting way to stay fit! Bring your friend and join a class or drop-in for any Saturday session!